Automotive journalists don’t get as many USB sticks at car launches as they used to because everything is in the cloud nowadays, but Infiniti went old school for the Q30, and now I want to start a party with you. Most would agree that an USB drive with less capacity than 8 gigabytes is a bit embarrassing in 2015. I mean, I understand that these items come from the ‘unsold 2014’ bin in China, but what if the journalist suddenly runs out of hard drive and/or SD cards due to working so hard, and there’s an HD movie waiting to get downloaded for that long flight? What then? There’s only so much my phone can take! 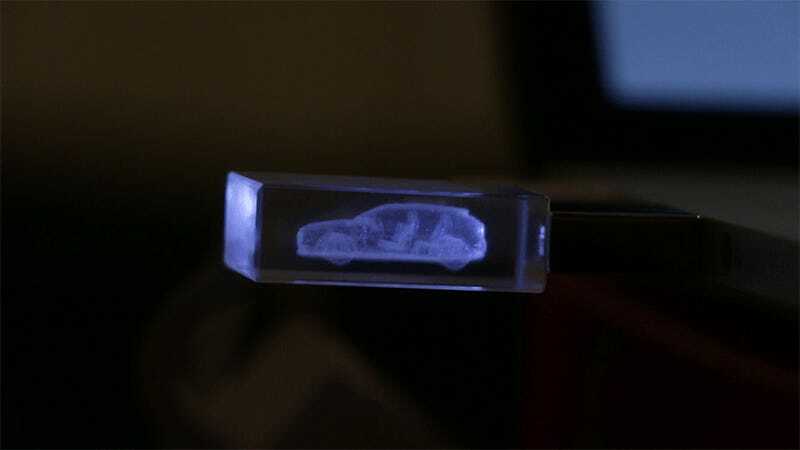 Funny enough, while Infiniti’s fancy laser-engraved Q30 flash drive only had 2 gigabytes to offer, since all press material was uploaded to their website instead, all it contained was a single mp3, a 2 hours and 11 minutes long mix of Q30 party mayhem. Get your cocktails ready! Listen to this sort of lounge music long enough, and suddenly, a Nissan just won’t cut it anymore.